Seems the New Year is a big time for sales. I guess people have that holiday money possibly burning a hole in their pocket. Might as well get a good deal on things. 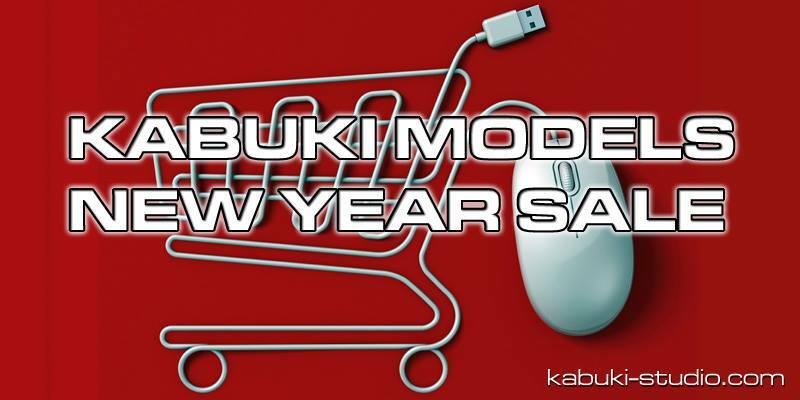 Kabuki Models has decided to give you a break on their regular prices with a sale over in their webshop. This year will be a big one for Kabuki Models. Most noticeably will be that they won't be Kabuki Models anymore, but instead will be Kabuki Studios. They'll be a bigger company with bigger projects. However, that does mean that some current lines won't be supported anymore as resources move to those new projects. So be sure to get some of those figures before they're no longer available.